Rating: 5 out of 5 stars ⭐️⭐️⭐️⭐️⭐️. 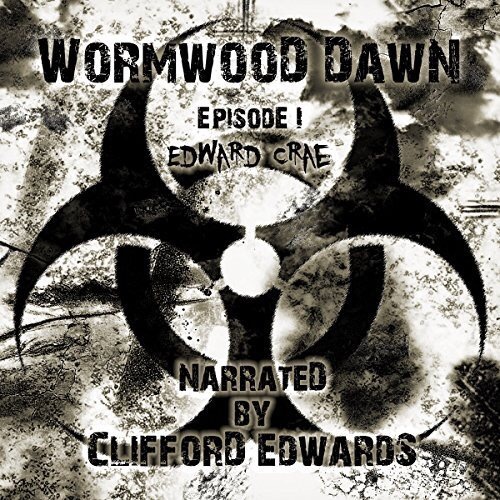 This audiobook is the fourth episode in the Wormwood Dawn Apocalyptic Serial. The first three books were so riveting and so terrifying that I just had to listen to Book Four. Once again Edward Crae’s twisted imagination has created a riveting audiobook that will scare the pants off of listeners. Imagine struggling to survive in a world that has been basically destroyed and is now populated by mutated people and animals, most of which would not hesitate to kill and eat you on sight. Sounds horrific, right? Ok. Now add in the fact that a depraved serial killer skinned a friend of yours alive and according to his journal, you are his next intended victim. I know I would be freaking out, that’s for sure. At the end of episode three Dan is taken captive by the serial killer and the others are captured by the mercenaries. Basically, they are all in BIG trouble. 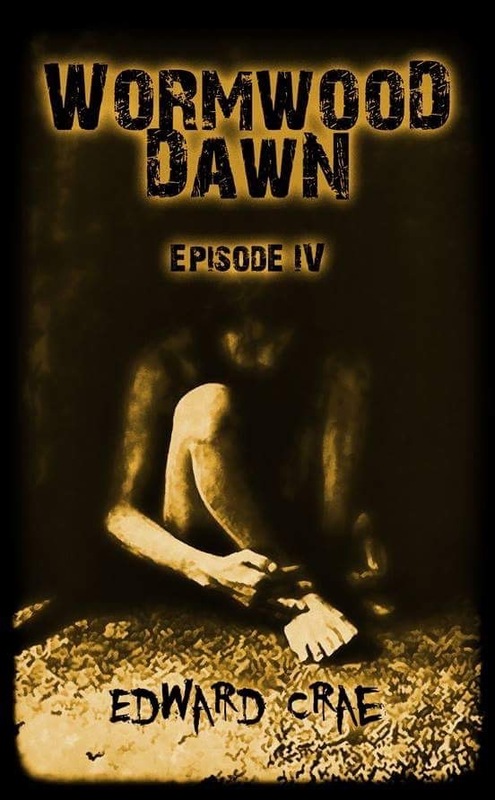 This episode (Book 4) of WORMWOOD DAWN begins with Dan awakening to find that he has survived the mercenary attack, only to be abducted by the crazy serial killer. Dan needs to find a way to escape before the killer decides to follow up on his threat. If he does escape, his next goal will be to find the rest of his small group of survivors. This audiobook is INTENSE and is not for the faint of heart. There are some seriously disturbing scenes and ideas which make this audiobook acceptable only for listeners ages 18 and up. I LOVED IT! I am definitely a fan and I can’t wait for the next episode to be released. I would be remiss if I didn’t mention how awesome and creepy the cover is. Great job! This audiobook started out like every typical zombie novel, and initially I was disappointed, BUT that soon changed. THIS IS NOT A ZOMBIE STORY, instead it is something much more unique and in a class of its own. I love the fact that the protagonist is a slacker alcoholic who is forced to smarten up in order to survive. If you think that “Wormwood Dawn” is a typical post-apocalyptic story, you are very much mistaken. This audiobook is a unique twist on the genre and will grab and hold your attention and leave you wanting more. The sound quality of the audiobook could definitely have been better, but I have been assured that the problem has been addressed and that it is much better in the second and third books. I guess I will find out since I definitely intend to listen to more Wormwood audiobooks. This audiobook is a Heart pounding, Pulse raising, Nail biting, goose-bump inducing story of monsters and mayhem with a apocalyptic twist. I had completely forgotten how much I LOVED the first book in the Wormwood Dawn audiobook serial until I started listening to Book Two. A few minutes into this audiobook and I was hooked once again. This is NOT a zombie fiction book. This book is Science Fiction/Horror and it is AWESOME. Now I want to kick myself for not listening to this book as soon as I downloaded it. I WILL NOT make that mistake with this series ever again. Dan and Drew are two regular guys. Well, I guess they are definitely slackers, but they are loveable slackers. In the first book we find out that Dan is an alcoholic and Drew likes his marijuana a bit too much. But neither of their addictions seem to matter when people around them start turning into rabid psychos. The two friends hole up at Dan’s house. But, when their cat ends up encased in a cocoon and then emerges as a horrific mutation, the two friends know that something very strange is going on and that the world has changed – and that change is NOT good. In Book Two, Dan and Drew have gained both knowledge and weapons. They know that they will need to prepare for winter which is fast-approaching. As they check out the other homes in the area, they make a few discoveries. The first book in the series had a plethora of production quality issues. Those glitches have been reduced in Book Two and are no longer a factor. This is wonderful since it made the listening experience even better than I expected. Dan and Drew are not the type of people that you would normally equate with the title of “hero.” But that is exactly what makes them so compelling. The action never stops in this audiobook and narrator, Clifford Edwards is an absolute pleasure to listen to. It is almost unbelievable that only one person narrates this book because Cliff is just that good. I have listened to hundreds of audiobooks over the years and I cannot remember any other narrator who was able to voice so many different characters with so much variation and still be able to keep the overall story flowing with apparent ease. The narrator deserves 5 Stars all his own. I have seen some reviews of this audiobook that mention the “echo-y” sound in parts of the story. I thought the use of this “echo-y” technique was perfect. It is used when Dan and Drew are watching and listening to online news reports and it adds authenticity to the story. The action begins right away and like a car whose gas pedal is stuck, the action is unending. I LOVED IT! This horror audiobook serial is an absolute MUST LISTEN for all horror fans. Thankfully I already have Book Three because I don’t just want to listen to it, I NEED TO listen to it right away. I rate WORMWOOD DAWN: Episode Two as 5 out of 5 stars ⭐️⭐️⭐️⭐️⭐️ and it has earned every single star. WORMWOOD DAWN HAS IT’S OWN FACEBOOK PAGE. Edward was born in Zanesville, OH, where he did absolutely nothing worthwhile with his life. Having drank himself into a permanent stupor, he finally moved to Indiana. Years and years of alcoholism and drug abuse kept him from exploring his intellectual interests; including astronomy, quantum physics, biology, and weird things like UFOs, mythology, and inter-dimensional or astral travel.